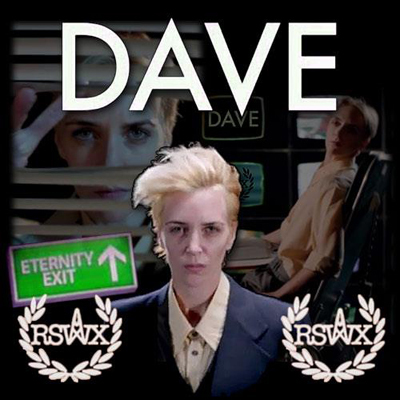 Accueil du site > Real Talk > Radio Soulwax presents "Dave"
Our homage to the man whose ability to change whilst remaining himself has been a massive influence on us. There are many legends in the music industry but for us, there is no greater than the mighty Dave. We’ve included all things Bowie, whether that is original songs, covers, backing vocals, production work or reworks we made, to attempt to give you the full scope of the man’s genius. For the visual side to this mix our friend Wim Reygaert (who also made the amazing film for Into The Vortex) came up with the most ambitious film for RSWX, taking us on a fever dream time travel through the man’s career starring the amazing Hannelore Knuts as Dave. We’ve got to extend a special thank you to the cast and crew and everyone involved for putting so much time and energy and heart and soul into this amazing film, it is a pure labour of love for the phenomenon that is Bowie.